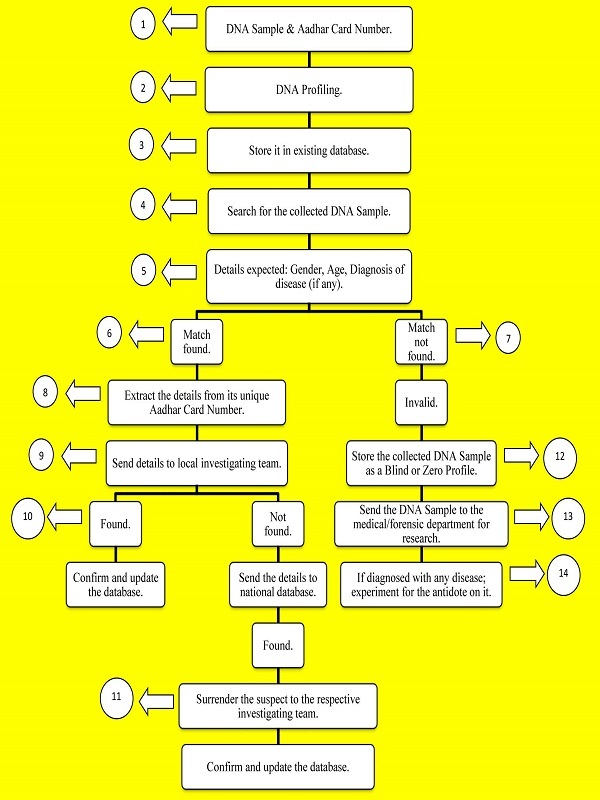 The traditional or typical method of investigating a crime is to search for possible clues and evidences (solid and biological) that are missed by the accused while committing the crime which was very time consuming for further formalities, This clues are useful for the police or the investigating team to set a strong case against the accused but the invention not only features in making the case strong but also reduces the time that is being consumed for an investigation, The invention already will be having the DNA with its unique identification number (UID) of the possible suspect as the suspect will be the citizen of India also this is helpful in tracking the suspect where ever he/she tries to escape from the place where the crime was committed to other areas, regions or parts of the country, The unidentified DNA sample can be stored as a blind profile and can be used as a reference in other sort of investigation .e.g. can be used as a lead evidence in finding a missing person which might be at its own jurisdiction area or other region of the country, This process will be fast track and continuous also it will be advance step in typical way of investigation. It helps to open the laptop by applying the opposite forces on the plates. 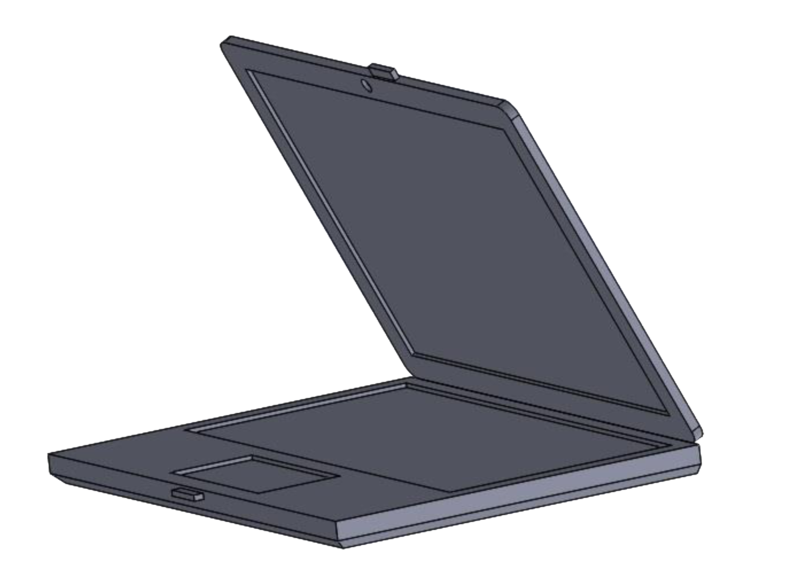 It is the mechanism which makes it easy for unfolding the laptop due to the plate fixed in the casings. The plates are long lasting due to they are being fixed into the casings.